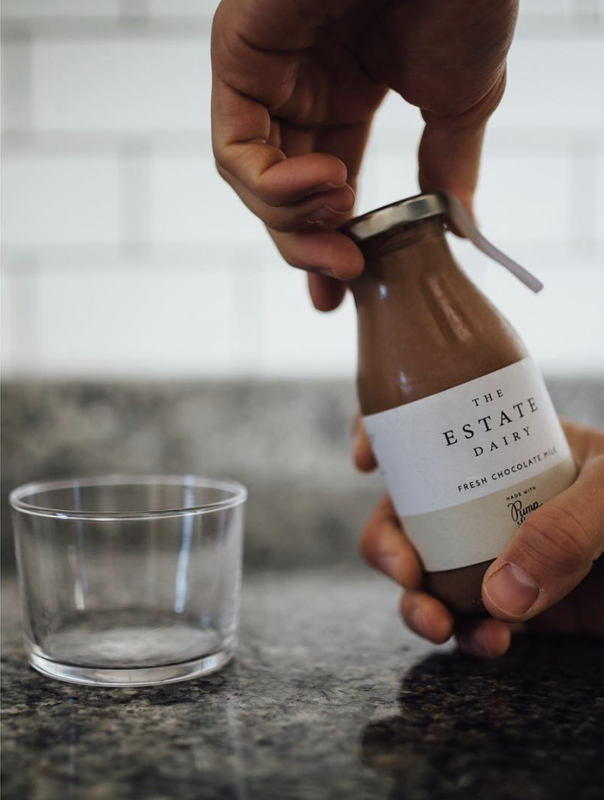 The Estate Dairy is a collective of young passionate individuals dedicated to producing and bottling the highest quality milk and cream. Their herd of cows are farmed sustainably on over 500 acres of idyllic Somerset pastures. They believe in treating their dairy produce with the respect it deserves and close attention is paid to the cow’s nutrition their diet throughout the winter contributes heavily to the flavour of the dairy. 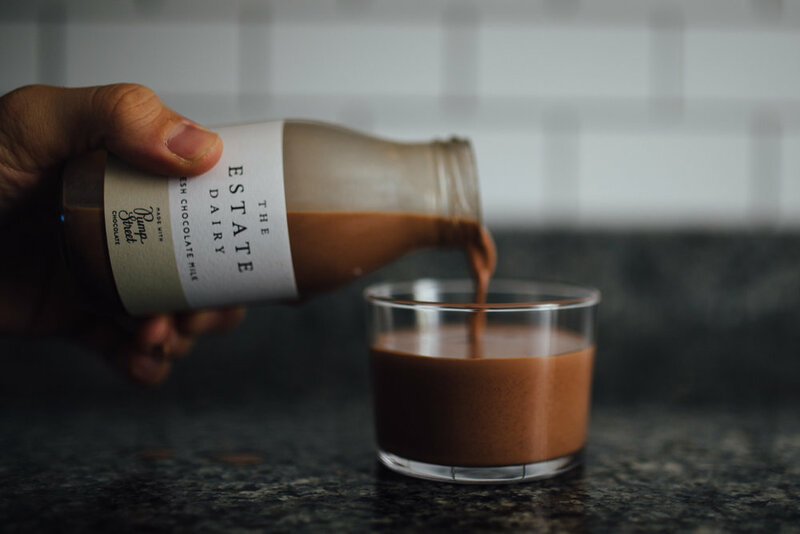 When we were approached by Shaun from The Estate Dairy to talk about the prospect of a collaboration with Pump Street Chocolate we couldn’t help but get excited at the thought of the delicious chocolate milk they would be creating! Our aim was to create packaging that emulated this perfect combination of milk and chocolate, representing both brands in a respectful manner.